What's a Western without red bandanas protecting cowboys from inhaling sandstorms of dirt or Charlize Theron's gently tied silk bandana in '1,000 Ways to Die in the West'? Some of Hollywood's most iconic scenes include a beautiful woman riding in a convertible with her hair delicately tucked under a silk head scarf and cooly masked behind cat-eye sunnies. On the other side of the pond, that same accessory is tied ever so smartly, punctuating the simplest outfits with a certain ease. The technique of double knotting immediately renders anything chic. 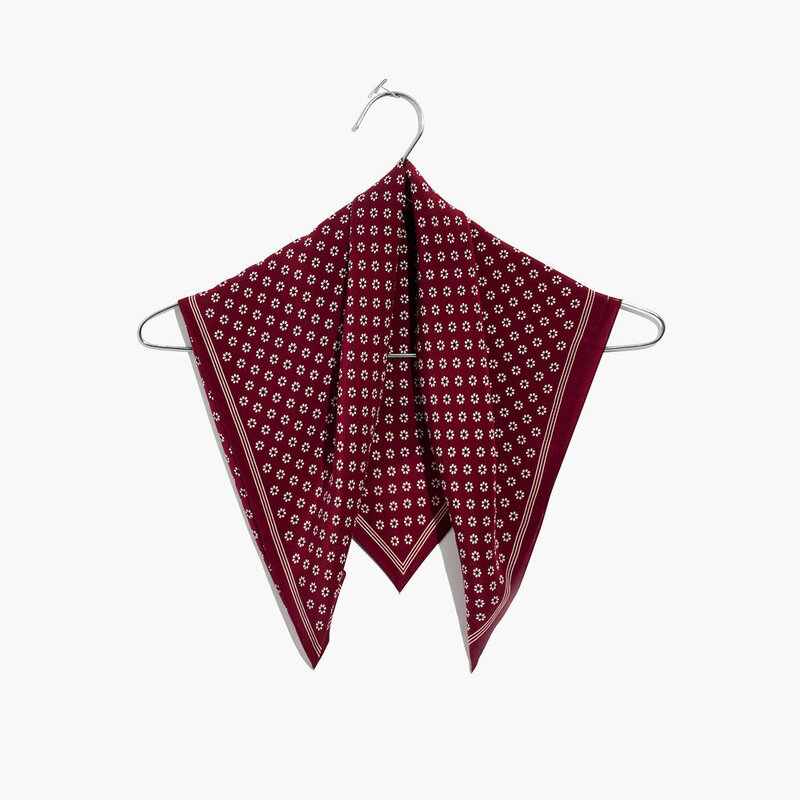 All this to say, the neck scarf is a proven, accessible essential for both the girl next door and the cool girl across the pond. Adjust the tail end to accentuate your best side! Feedback .003: What Are You Thankful For?